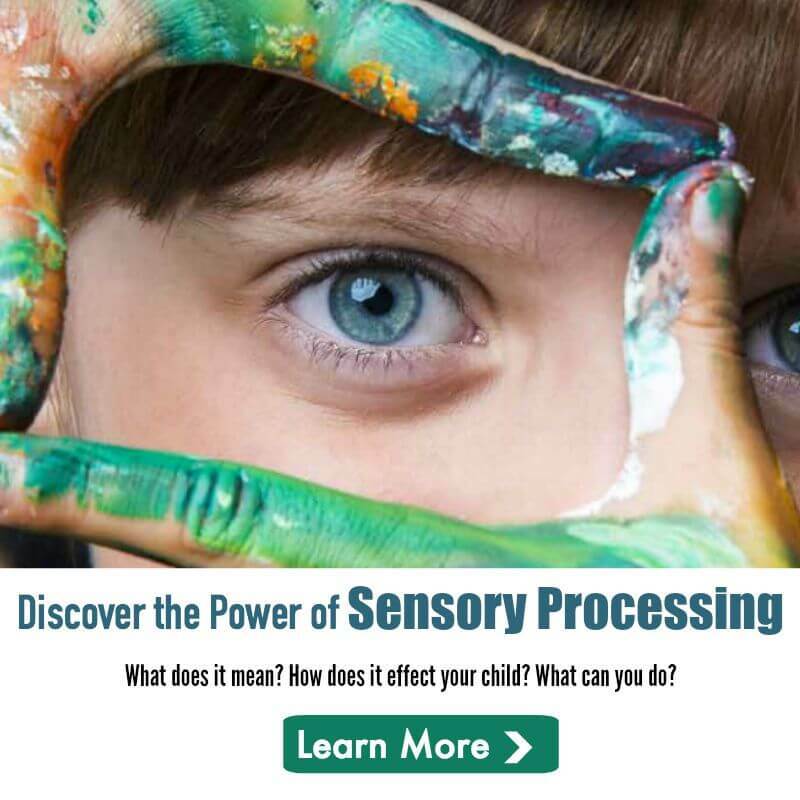 Do you remember how you initially felt when you found out your kiddo had Sensory Processing Disorder? Did you feel relieved you finally knew what was going on? Did you feel sad that your child would have to figure his way in the world with this challenge? Did you feel overwhelmed or revved up to get started? 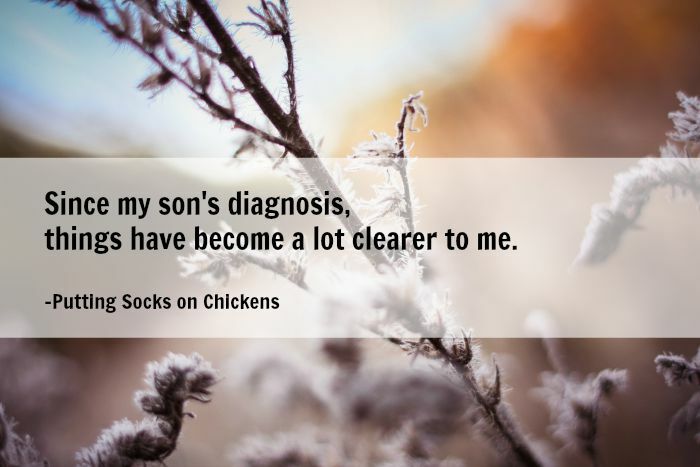 Erin from Putting Socks on Chickens shares how she initially felt when her son was diagnosed with Sensory Processing Disorder on our Voices of SPD series. This post contains affiliate links. 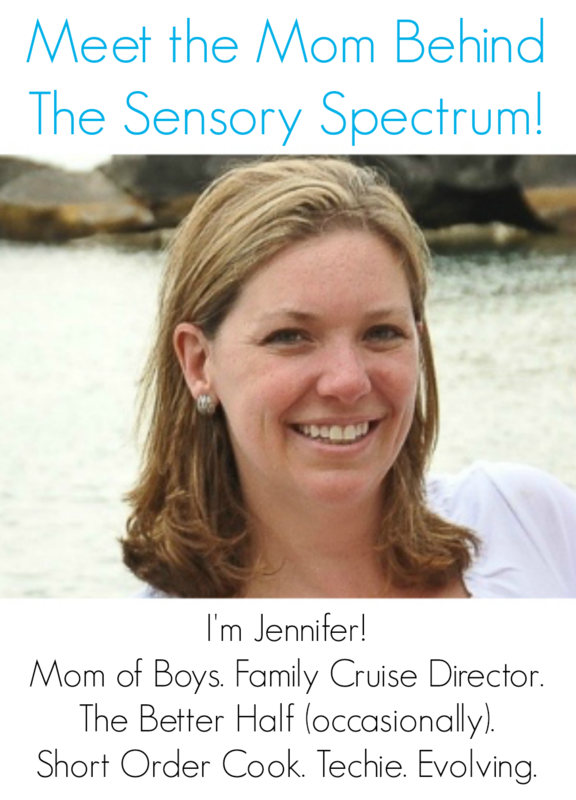 My son is 6 and was recently diagnosed with Sensory Processing Disorder (SPD). My husband and I are still trying to wrap our heads around what SPD actually is and if our son does in fact have it. I have started reading The Out of Sync Child, which was recommended by the OT that evaluated our son. I have also joined many support groups on social media sites (my husband does not do social media) to further educate myself and connect with other parents that might be going through some of the same stuff I am. For the past several months, I have been going back and forth with the OT office that evaluated my son to try and get a second appointment to further educate my husband and I and teach us the exercises we can do with our son. You see we live in a rural area that does not offer services for children with SPD. In fact, we had to travel 90 miles or so for the evaluation. The OT office did agree to have us come back for a second appointment where they will teach us home therapy exercises. While we were pleased with the OT and the evaluation, we have had issues with them getting approval from the insurance company for the second visit. So now I am stuck and confused. At this point, I can’t even confirm if he is a seeker (although by what I’ve read, I’m sure this is my son). My husband questions whether our son actually has SPD or if he is just being a typical child. I know that there is more to it than just typical child “fits,” which is what we call them in our house. While my husband is a great father and always there for our children, I am the one that spends the most time with our son and gets the brunt of his “fits.” They have been so extreme that I’ve had to lock myself in my room just to be able to get myself ready for work in the morning. The slightest thing could set him off and it would last the entire morning. I will say that since his diagnosis, things have become a lot clearer to me. His fits, especially the morning ones, have drastically changed. In fact, the mornings are some of our better times because I now know that I triggered the morning fits. How? I always rubbed his head and said “good morning.” He HATED that. It bothered him. And he couldn’t tell me, so instead he would scream, hit, throw things, bite his hand and jump up and down constantly. Once through his angry screams, I was able to get it out of him that I messed up something when I touched his head. So I stopped…and so did the morning fits. While things have gotten better and we are working with him on expressing things that bother him, I’m still lost and confused. I want to start home therapy with him, but don’t know the exercises best for my son, because I can’t even get back to the OT office to discuss what type(s) of SPD my son has. I recently looked into starting him in karate, as when we first went to a psychologist, it was suggested this could help as a form of therapy. I’ve been looking at exercises on Pinterest that might be suitable. We have talked with his school and he started to see an OT to help with his fine motor skills and sensory exercises. Right now, I’m focusing on getting by each day and helping my son in the best way that I know how. I continue to educate myself through books and online resources. And patiently wait by the phone (I’ve called several times) to get the call that we can come back for that second visit to the OT’s office. This post originally appeared on Putting Socks on Chickens. You can read more of Erin’s writing there. Thank you for sharing. Ironically, this is the 1 year anniversary of receiving the official diagnosis. It was nice to read this again and remind me of where we were at 1 year ago. Wow! A year goes by quickly… but I’ll bet there have been some major changes for your kiddo. Glad you’ve come along so far!